Chanteur Country US né Baldwin Powell en 1921. Uchabod Powell a enregistré chez Madison Records de Richmond (Kentucky). US Country singer born Baldwin Powell in 1921. 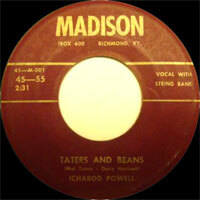 Uchabod Powell recorded at Madison Records of Richmond (Kentucky).